Phone cases have become a massive industry in recent times and with good reason. They are a physical insurance policy for your expensive handset. Some folks are brave/foolhardy enough to risk carrying a naked phone while others take the opposite approach and encase theirs in super over-engineered Iron Man like exosuits. For those left floating somewhere in the middle, there is a mind-boggling variety of options to choose from. 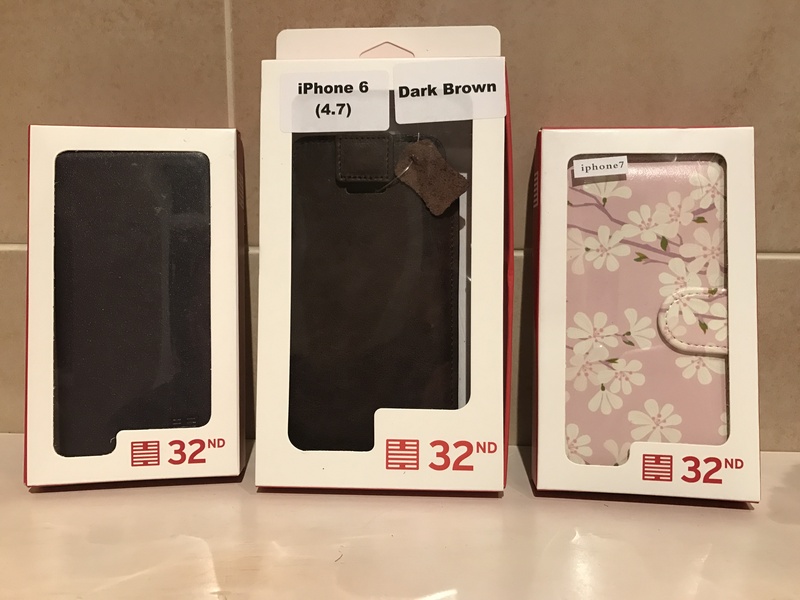 32ndshop.com specialise in very affordable phone cases, covers and holders and accessories. They recently sent us a sample of their wares. To be honest, I wasn’t expecting much from cases costing market stall prices, but I was genuinely surprised when I opened the basic, bare bones packaging. Rather than getting some cheap, tacky plastic offering, these appeared to be very well put together products in a soft, thick leather, nice stitching and the designs are far from garish. The first of the three cases we received was a deep purple, (excuse me….”Aubergine”) coloured wallet with magnetic closure. The phone cradle itself is a fairly rigid plastic, but it holds the phone securely. The inside cover has slots for credit cards and has a soft finish in the same deep purple Aubergine as the outside and the 32nd logo is stamped on the bottom inside cover. Simple, straight forward, but well executed, especially for the price of £12.99. It even came with a screen protector for crying out loud! Next up was one of those slip cases which always remind me of the sort of thing my Grandfather used to keep his glasses in. Rather than being attached to the phone, it’s more of a holster type idea which protects your phone when it’s in your pocket. I prefer a protective case myself, but if this is what you are after, it’ll certainly do the job. It’s again, a good thick “Premium Italian” leather, this time in dark brown, and there is a simple pull tab to help you get your phone out. This is magnetically held in place to stop it flapping about, which is a nice touch. At £20, this is one of their most expensive iPhone covers, but is still very reasonable. Again, it is not over-engineered, not over-designed, but it does what it is supposed to do simply and elegantly. Last up was a rather cheerful floral print wallet, same design as the purple one except, this time with a tab closure. The interior is a nice tan colour which complements the outside well. It also came with a screen protector. Not my personal taste of course, but the quality produced at this price point is hard to find fault with. Overall, there really isn’t anything particularly special about these cases, they are neither innovative nor original, they are not feature laden or flashy. But what they deliver are solid, well-constructed, good looking cases that do exactly what you need them to do for the same price as the flimsy Chinese knock offs on eBay. Certainly worth a look.